We may not have eaten so healthfully our entire lives. We may have a family history of breast, prostate or colon cancer. What should we do? Just wait until cancer is found? Getting medical screenings is certainly a personal decision, but if we really want to win the war against cancer, we must improve the nutritional quality of our diet. We have all heard about the antioxidant effects our bodies derive from the phytochemicals in plant foods. However, the unique phytochemicals found in cruciferous vegetables offer superior benefits. Cruciferous vegetables contain phytochemicals that have unique abilities to modify human hormones, detoxify compounds, and prevent toxic compounds from binding to human DNA, preventing toxins from causing DNA damage that could lead to cancer. 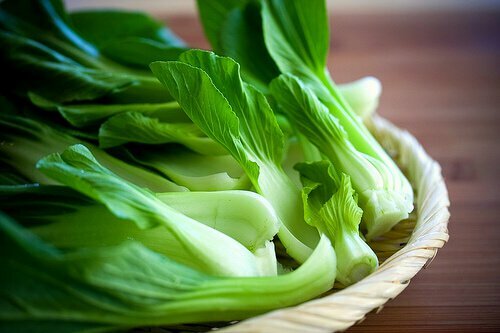 Studies have even shown that genetic defects that may lead to cancer are suppressed by the consumption of green cruciferous vegetables. Certainly, many studies have shown that eating fresh fruits, beans, vegetables, seeds, and nuts reduces the occurrence of cancer. I plotted cancer incidence in 25 countries against unrefined plant food intake and found that as vegetables, beans, and fruit consumption goes up 20% in a population, cancer rates typically drop 20%. But cruciferous vegetables are different; they have been shown to be twice as effective. As cruciferous vegetable intake goes up 20%, in a population, cancer rates drop 40%. Include them in both raw and cooked forms and eat a variety of them. These benefits cannot be duplicated by taking any one pre-formed compound or supplement. The evidence is now overwhelming that cruciferous vegetables play a major and unique role in the widely recognized protective effects of natural plant foods against cancer—and are the most important players in this arena. The biologically active compounds from raw and conservatively cooked green vegetables enhance the natural defenses of the human body against DNA damage and they even fuel the body’s ability to block growth and replication of cells that are already damaged. For those in the know, these foods are the most important nutritional factors to prevent common human cancers. Michaud DS, Spiegelman D, Clinton SK. Fruit and vegetable intake and incidence of bladder cancer in a male prospective cohort. J Natl Cancer Inst 1999; 91(7):605-13. Link LB, Potter JD. Raw versus cooked vegetables and cancer risk. Cancer Epidemiol Biomarkers Prev 2004;13(9):1422-35. Miller AB. Nutritional aspects of human carcinogenesis. IARC Sci Publ 1982;(39):177-92. Higdon JV, Delage B, Williams DE, Dashwood RH. Cruciferous vegetables and human cancer risk: epidemiologic evidence and mechanistic basis. Pharmacol Res. 2007; 55(3):224-36. Steinmetz KA, Potter JD. Vegetables, fruit, and cancer prevention: a review. J Am Diet Assoc 1996 Oct;96(10):1027-1039. Lee SA, Fowke JH, Lu W. Cruciferous vegetables, the GSTP1 Ile105Val genetic polymorphism, and breast cancer risk. Am J Clin Nutr. 2008; 87(3):753-60. Rose P, Huang Q, Ong CN, Whiteman M. Broccoli and watercress suppress matrix metalloproteinase-9 activity and invasiveness of human MDA-MB-231 breast cancer cells. Toxicol Appl Pharmacol 2005(10);S0041-008X. 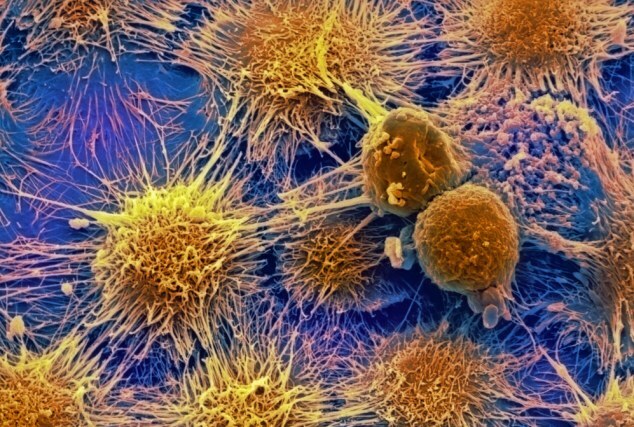 Johnston N. Sulforaphane halts breast cancer cell growth. Drug Discov Today 2004;9(21):908. Srivastava SK, Xiao D, Lew KL, et al. Allyl isothiocyanate, a constituent of cruciferous vegetables, inhibits growth of PC-3 human prostate cancer xenografts in vivo. Carcinogenesis 2003 Oct;24(10):1665-1670. Finley JW. The antioxidant responsive element (ARE) may explain the protective effects of cruciferous vegetables on cancer. Nutr Rev 2003 Jul;61(7):250-254. This article was republished with permission from drfuhrman.com. Read Next: Check your shampoo for these 10 toxic chemicals – never put them near your scalp!